1. 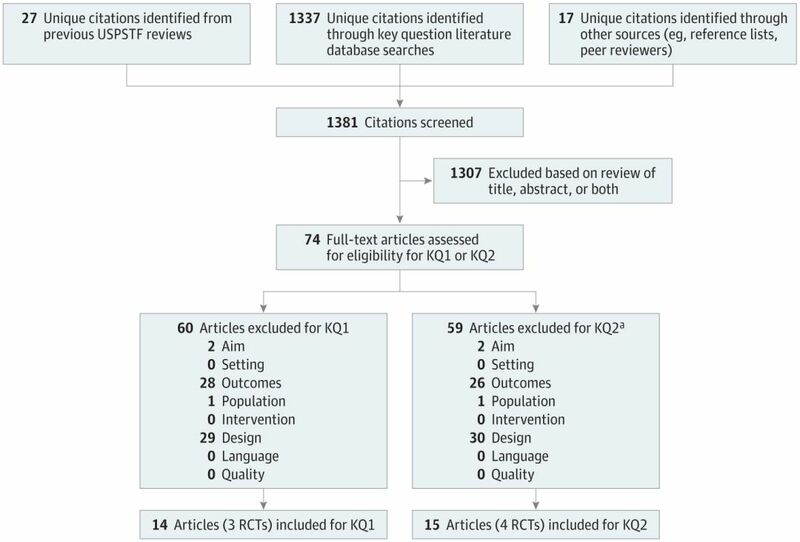 Henderson J T, Webber E M, Sawaya G F. Screening for ovarian cancer: updated evidence report and systematic review for the US Preventive Services Task Force[J]. JAMA, 2018, 319(6): 595-606. 2. US Preventive Services Task Force. 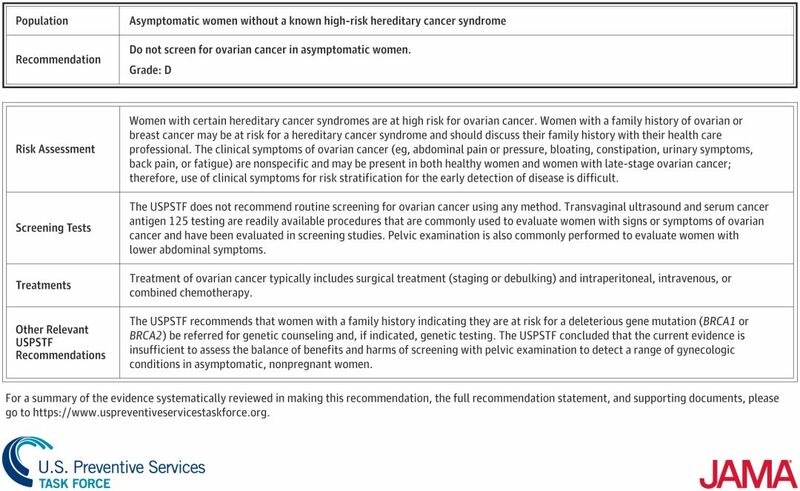 Screening for ovarian cancer: US Preventive Services Task Force recommendation statement [published online February 13, 2018]. JAMA. 3.SEER (Surveillance, Epidemiology, and End Results Program). SEER Stat Fact Sheets: ovarian cancer. https://seer.cancer.gov/statfacts/html/ovary.html. Accessed November 2, 2016. 4. 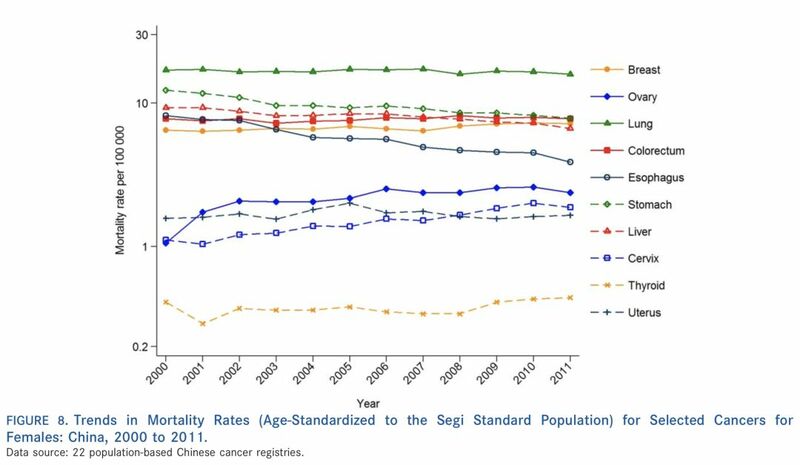 Survival rates for ovarian cancer, by stage. American Cancer Society website. https://www.cancer.org/cancer/ovarian-cancer/detection-diagnosis-staging/survival-rates.html. February 2, 2016. Accessed January 22, 2018. 5. Jacobs I J, Menon U, Ryan A, et al. Ovarian cancer screening and mortality in the UK Collaborative Trial of Ovarian Cancer Screening (UKCTOCS): a randomised controlled trial.[J]. The Lancet, 2016, 387(10022): 945-956. 6. Buys S S, Partridge E E, Black A, et al. Effect of Screening on Ovarian Cancer Mortality The Prostate, Lung, Colorectal and Ovarian (PLCO) Cancer Screening Randomized Controlled Trial[J]. JAMA, 2011, 305(22): 2295-2303.